When I became a born-again Christian in the mid 1990s I knew nothing about Church history. It was at this time and in this context that I started reading the Bible with intense interest and studying it with others. In my Lutheran upbringing, I had been taught the importance of communion, but my beliefs had never before been challenged. In my new church I was taught a radical Protestant form of communion, which treated the bread and wine as merely a symbol of Christ’s body and blood and the partaking of communion as a memorial only. I adopted these doctrines and held to them zealously. I did not know a good reason to believe otherwise and was compelled by the passionate faith of those in my new church. About 12 years later I began a very slow movement back toward liturgical Christianity and Church Tradition. This transition took about three years and was completed when I was chrismated an Orthodox Christian. So you could say I came full-circle and then some. Through this experience I have found that one of the most important rites of Christianity is also one of the most hotly debated topics between different Christian groups. I have seen the view from the Evangelical Protestant side, from the traditional, liturgical Protestant side as well as from the side of Orthodox Christianity. As an Orthodox Christian who knows what it is like to be completely opposed to the Tradition of the Eucharist to which I now hold, I would like to appeal to Protestant Evangelical Christians with some passages written by the earliest Christian teachers after the Apostles. They [the Gnostics] abstain from the Eucharist and from prayer, because they confess not the Eucharist to be the flesh of our Saviour Jesus Christ, which suffered for our sins, and which the Father, of His goodness, raised up again. Those, therefore, who speak against this gift of God, incur death in the midst of their disputes. But it were better for them to treat It with respect, that they also might rise again. 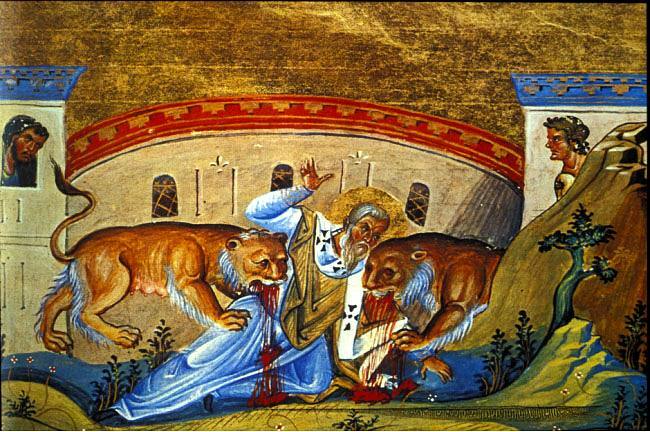 Ignatius of Antioch was a disciple of Jesus’ beloved Apostle John and according to Church Tradition, was the child whom Christ called to himself in Matthew 18:2. 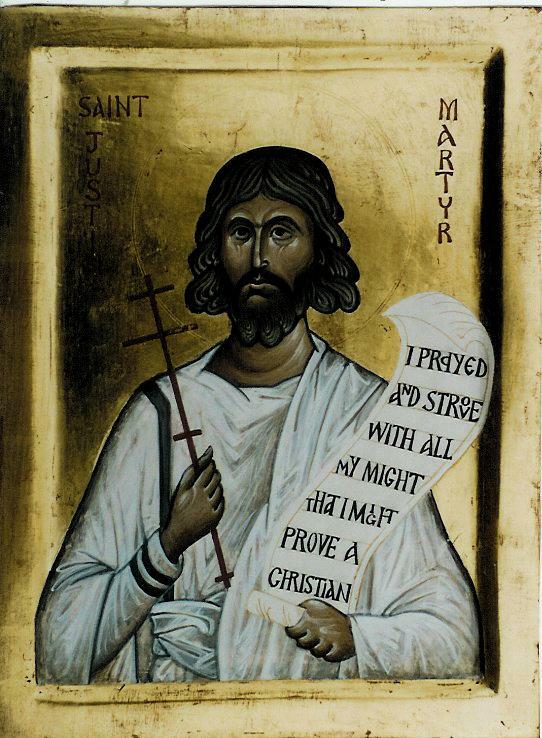 He was one of the first bishops of Antioch and a martyr for his faith. He was from the first generation of Christians and he believed and taught, as a bishop who was instructed in the faith by the Apostles themselves, that the Eucharist was the real body and blood of Christ and that it is for our salvation. He did not mince words on the matter. This scene, as described by Justin Martyr is the very same thing you may see on any given Sunday in your local Orthodox Church. 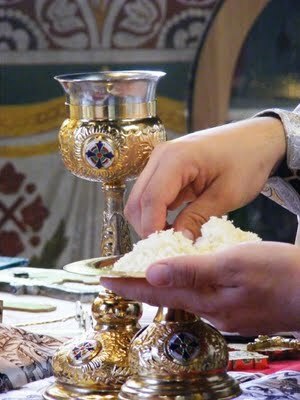 I have been told that the way we worship is “weird” and many newcomers from Protestant backgrounds (such as myself) have difficulty adjusting to how “foreign” Orthodox worship seems. However, based on the above passages, it would appear that the earliest Christians would not find the way Orthodox Christians today worship to be foreign or weird. And they would likely fit right in. This is certainly not an in-depth examination of the Eucharist. For that I would suggest The Eucharist: Sacrament of the Kingdom or For the Life of the World both by Alexander Schmemann. The purpose of this post is simply to shine a light on how the early Christian Church viewed the Eucharist, as a challenge to those Christians who hold to different views. And now the next challenge is to discover, if the Eucharist is more than just a memorial to Christ and if the bread and wine are more than just symbols of Christ’s broken body and shed blood, what is it? And more specifically, what is it to you? Tagged with: Jodie Anna What is Eucharist? Previous: Why are Premarital Relations Not Allowed?